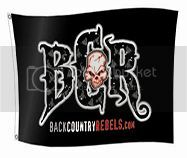 Just curious why so few here on BCR of late. Guess I just do not stay busy enough evenings to stay away from here in winter. I am not riding near as much as I used to, I am getting older tho. But still like to check in here at least twice a week to, well drool mostly as I still ride decent running older sleds( yeah some are on the bench for now) for the most part. Such nice newer stuff out there, but hardly ever hear if any of them work. Maybe a gas shortage thing? They work so well you should still have plenty energy to push out a glowing So is the gen 4 a real decent 1st year release? Is the axys 17 better than 1st yr 16? Think Cats 17s HP is close to stated 167? Yammi's are kind of colorful too.. or Should I just buy a 600 as I only weigh about 11 pounds more than H.S. days, and if so what length track to HP ratio to still hang with the husky kids late models? I also have noticed less traffic on BCR. Perhaps its facebook and other social media? Don't know for certain , since I don't use any social media sites, but I hear other people talk about using "media" . Closer to home the club I belong to has a nice website, with chat-box, message posting, etc, almost never used. Social media again where some club ride or other event took place and several people didn't know it was happening. Its a shame, this site used to be really busy. Bummer because I absolutely hate that platform. Good content gets buried so fast in the noise it's not even worth my time to post on there. Some of that transition's demographics too. As the "classic" riders and forum members retire from the sport due to injury, family/personal life changes, finances, whatever... they're not being replaced by noobs because the noobs have grown up on social media. Machine technology has changed a lot too. Modern stock machines really don't need anything - fuel, oil, and someone to pull the cord and hold the throttle. Gone are the days of the $50 mods that really improved the performance of the machine. Ahh, the "boost bottle" threads. we defiantly need to get more traffic back on the site, I am fed up with the bottom feeder trash people on the face book pages. People that have never turned a wrench in their life trying to give advice on how to fix things, I'm over it. Or a few trolls with zero real world wrenching cred, weigh in with an obviously flawed fix and then go all psycho when their FB cred is questioned? I find FB to be a platform for many of the worst keyboard warriors, and only those who live on there seem to get attention. But hey, I'm building 4x4's for kicks these days and the FB wrench turners I see are such a bunch of rank amateurs. I just corrected a lift kit from a shop which was installed wrong causing camber issues of the dangerous type, the shop monkey told my buddy "check FB, our shop never does anything wrong", with expert teenagers like that around I tend to avoid their chosen platform and then lampoon their crappy work at every opportunity. Now 10+ guys come to our local 4x4 spot every weekend asking for pointers from us old guys who drive rigs that work and require much less repairing, and we go where many "shop built" rigs cannot or fail when attempting. My life is ion chaos with the wife being sick, so I can't really get sleddin time these days, but lots of my 4x4 buddies still ride sleds often, but psycho 4x4's is the hobby I have time for these days. Good bunch that used to hang here, kind of miss the chits & giggles. FB is crap and always will be , to many posers claiming cred for something they didn't do or don't know. If you make your decisions based on FB you get what you deserve and yes that shyt you took does look like a Ski Doo..
Summer is here and the sled is still ready to go . . denial not so much as life taking over. The younger FB bunch has no time to expend any effort.